Our most popular insulation; 'Attic' is a loose fill cellulose insulation that can be blown in, typically used for attics. If wetspray equipment is not available it can also be used instead of our 'Wallspray' in walls in conjunction with a plastic liner, a technique that is also preferable for insulating most ceilings. 'Attic' is also used to insulate exterior walls of older homes by drilling an access hole to pump the insulation through. 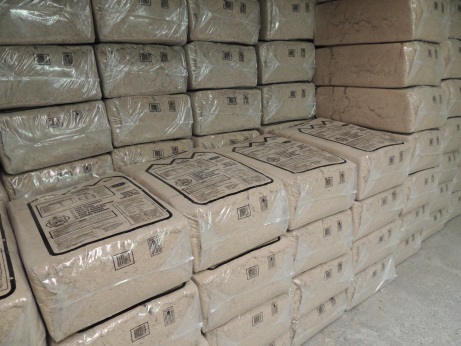 Primarily for use in new construction; 'Wallspray' is blown in cellulose insulation that must be used with wetspray equipment on unfinished walls. 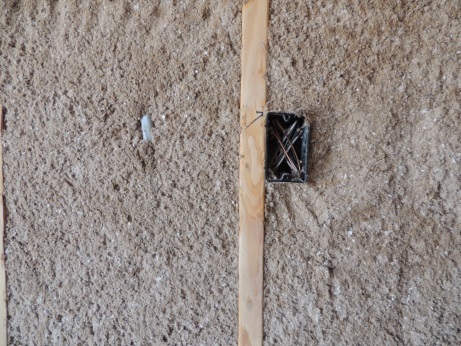 'Wallspray' contains a dry adhesive that becomes activated by a small amount of water that causes the insulation to stick. 'Wallspray' will stick to most materials (e.g. waferboard, drywall, plywood, metal studs, any unsealed lumber, and itself). 'Wallspray' will easily fill most gaps that are difficult to fill with fiberglass and with a much higher R-value to boot. 'Wallspray' has also been found to be an amazing sound barrier. In some circumstances 'Wallspray' may be preferable to 'Attic' for use in ceilings. 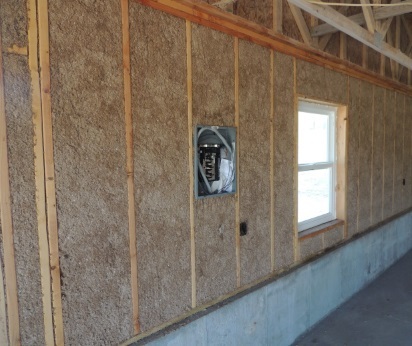 Like 'Wallspray', 'Super Therm' is a wetspray insulation however unlike 'Wallspray' it is made from a special blend of recycled cardboard. 'Super Therm' can be used anywhere 'Wallspray' can be used. For more information on 'Super Therm' and its unique qualities please call or email us.